I came across an advance copy of a book called The Language of Flowers by Vanessa Diffenbaugh recently. It’s the story of a girl from the foster care system who communicates best through the nearly dead language of flowers. (Apparently in the Victorian era people expressed themselves through the various meanings of flowers.) It is so vividly written and the plot is so compelling, that when I cracked it open around 11a this morning, I resented all the moments the rest of the day when I wasn’t reading it. I read it on the train and hated when my stop came. I read it while I was doing laundry and hated when I had to fold. Most importantly, I read it on my way to Whole Foods, where I incidentally tend to buy my flowers. Today I wouldn’t let myself buy ones that I normally would have chosen: peonies (anger) and hydrangea (dispassion). I hadn’t realized I’ve been inviting negativity into my home! 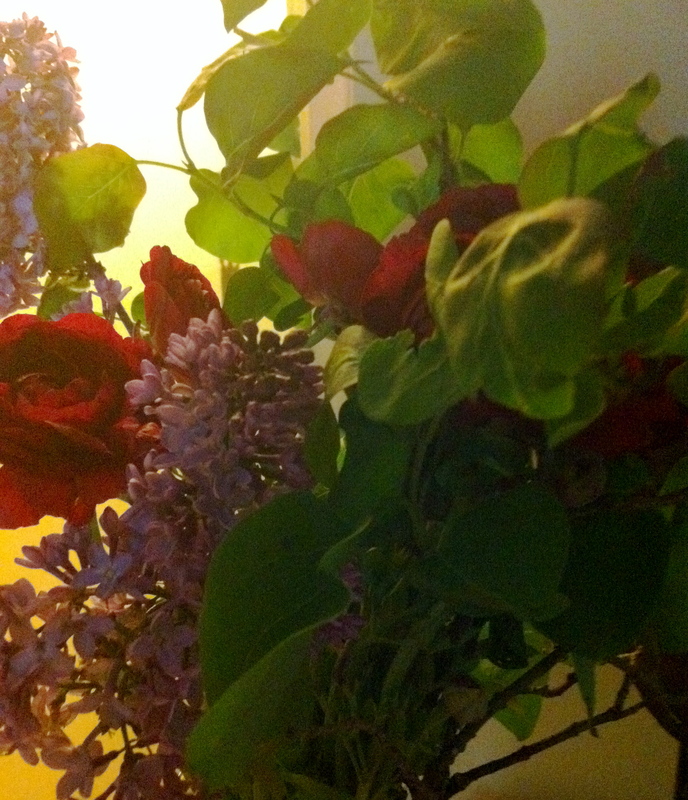 Whole Foods was sold out of my beloved tulips (declaration of love), but I was able to get lilacs (first emotions of love) and ranunculus (you are radiant with charms). I finished the book. Of course I am annoyed that I didn’t make it last longer. I can’t stop thinking about this secret language. Imagine, we have all been miscommunicating on a whole other level and haven’t even realized it. In my head, all the while, I’ve been hearing Public Image Ltd.’s “Flowers of Romance.” I’ve always loved this percussion-heavy era of PiL and now the song’s tale of utter lack of communication makes me think maybe they were commenting on the whole subtext of flower talk. The Language of Flowers is being released in August and I suggest that everyone immediately pre-order it right now.